Small, lightweight and incredibly robust. 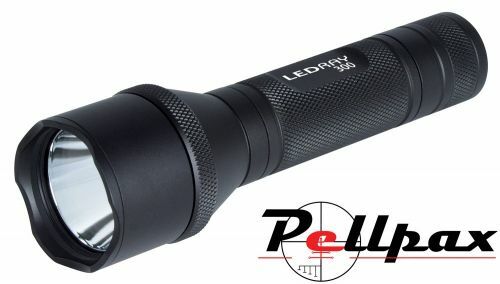 Use as a gun light or hand held torch. LED's do not burn out or fail like conventional torch bulbs and are far less vulnerable to impact damage. Key Features: Red LED. Dual Power (Hi & Low Settings). Includes upgraded 'Mode Switch'. Soft rubber tail switch. Lightweight. Waterproof design. 140m Beam. Up to 15½ hours run time (low setting). Additional Features: Stock mounted control switch, Anti-shatter lens, 1” and 30mm Mounting System.